Fryderyk Franciszek Chopin (1810-49) is probably the most famous of Warsaw’s past citizens. He spent half his life in the Polish capital some 200 years ago. To help experience the life and times of the great composer, Warsaw City Hall has just released a dedicated self-guided tour along with a series of new interactive apps. The city’s airport, the Warsaw Chopin Airport, has the now obligatory grand piano on the concourse, but things are taken a step further. Download the Selfie with Chopin application and you can take a picture of yourself playing the piano with F.C. himself sitting beside you. In fact the app will allow you to take your picture with Chopin at various locations across the city. A second new app, Chopin in Warsaw, guides you to various key venues that have links with Chopin. It also takes you to, and around, the Ostrogski Palace, home of the Fryderyk Chopin Museum. 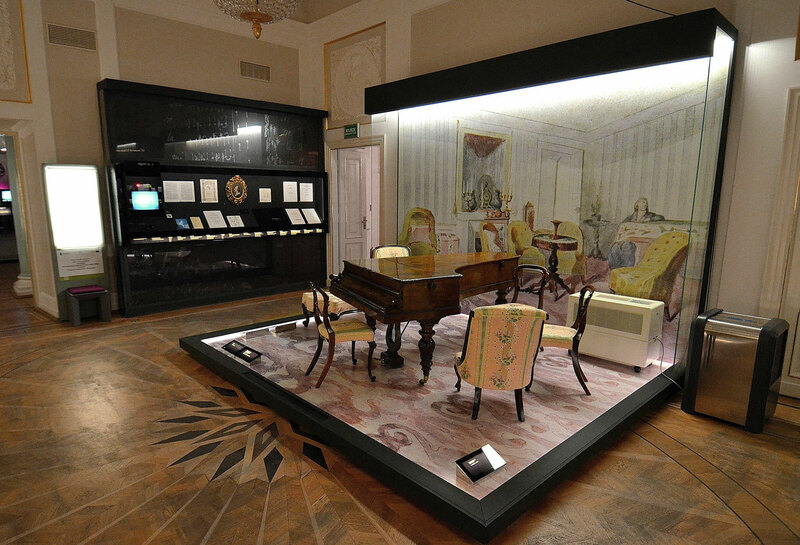 Here you will find a wide selection of Chopin related objects, including original manuscripts and of course a grand piano owned by Chopin. Strategically located Chopin Benches highlight the composer’s presence around Warsaw. These interactive seats give specific multimedia presentations relating to the great composer. He left Warsaw at the age of 21, and spent most of his later life in Paris, but also went to England and Scotland to escape the French Revolution of 1848. Chopin was a great fan of the instruments made by the French firm Pleyel & Company. He used the above Pleyel grand piano (#14810), now at Warsaw’s Fryderyk Chopin Museum, for the final two years of his life. He died in 1849 in Paris, and his sister subsequently returned the piano to Poland. Other pianos, belonging once to Chopin, can be seen in several European locations. 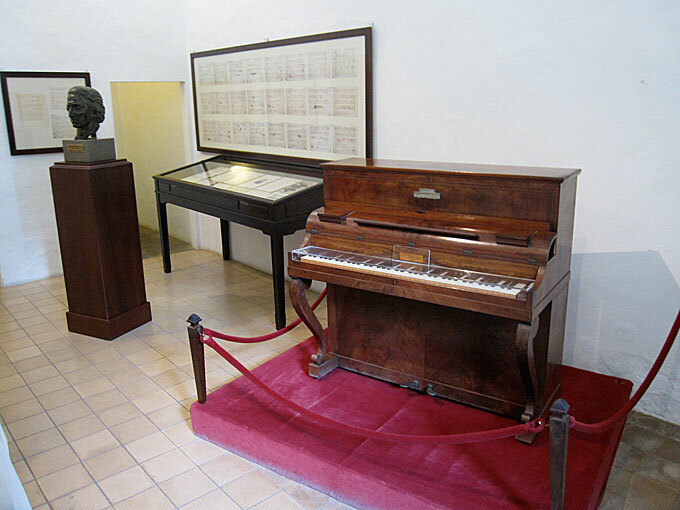 Spain: A small simple upright (#6668), also by Pleyel, can be seen at the Fryderyk Chopin Museum, Valldemossa, Majorca. The composer had this piano sent to him when he wintered on the island for two months in 1838/9. France: Paris’ Musée de la Musique has an 1839 Pleyel grand (#7267) which was “placed at Chopin’s disposal” between 1839 and 1841. Sweden: The Stiftelsen Musikkulturens Främjand, Stockholm, has a 1845 Pleyel grand (#12480) that once belonged to Chopin. England: The 1848 Pleyel grand piano (#13819) Chopin brought with him to London can be seen at the Cobbe Collection at Hatchlands Park, Surrey. They also have the 1847 Broadwood grand (#17047) Chopin played at his London recitals in 1848.